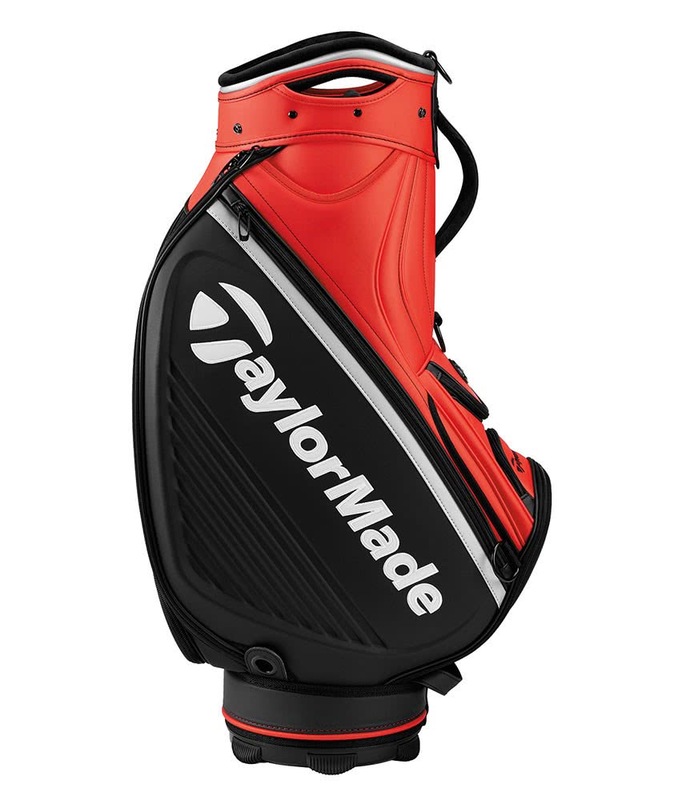 The TaylorMade Tour Staff Bag is an exact replica of the golf bag that the caddies of McIlroy, D Johnson and so on will be carry throughout 2019. 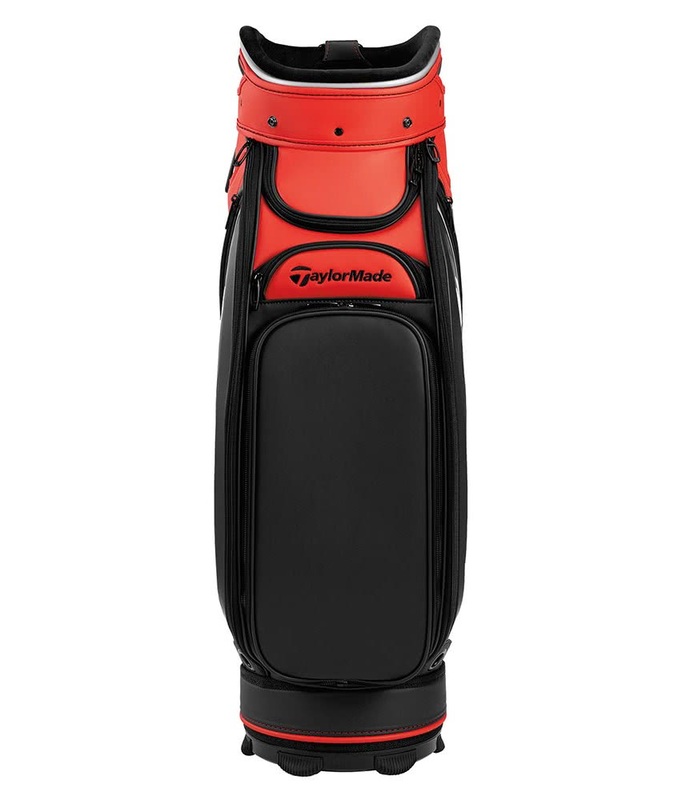 TaylorMade have used a 6-way velour lined, 9.5 x 11” traditional top to maximise space and provide excellent club management as well as shaft protection. 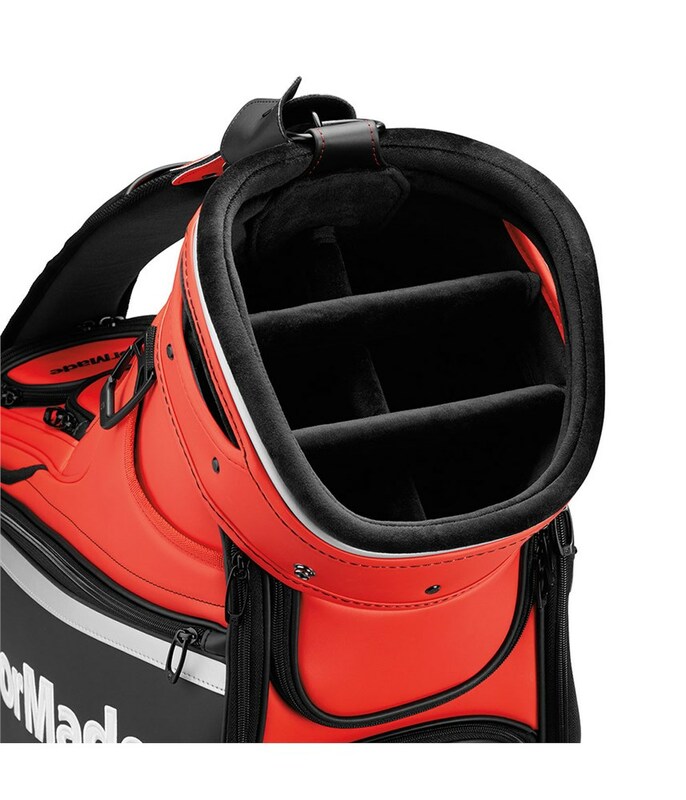 Included in the pocket layout are two velour lined valuables pockets, two garment pockets, two hard shell accessory pockets, two insulated cooler pockets, a ball pocket, a tee pocket and two additional accessory pockets. 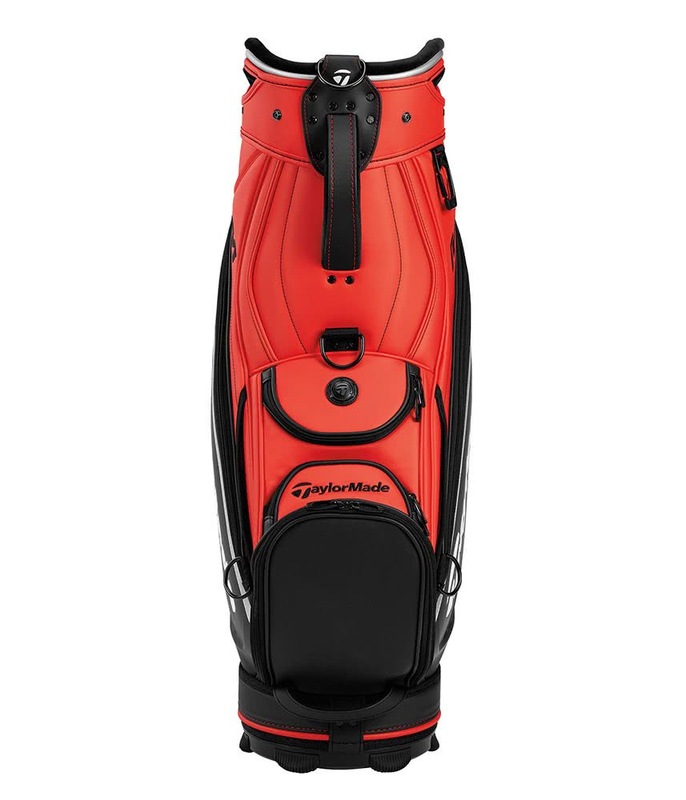 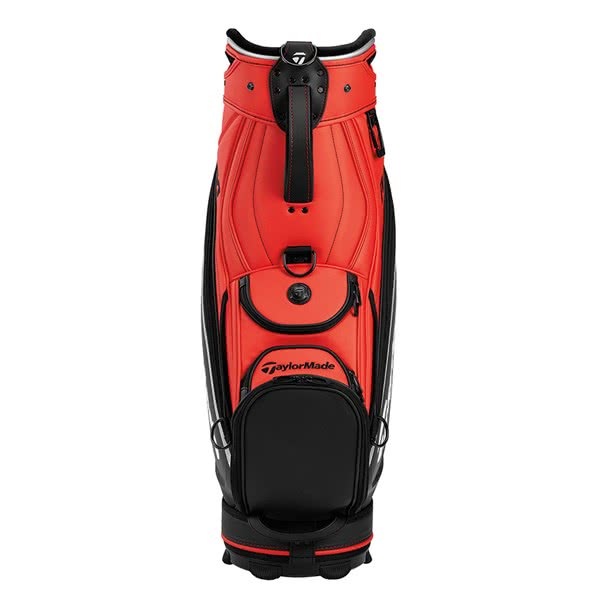 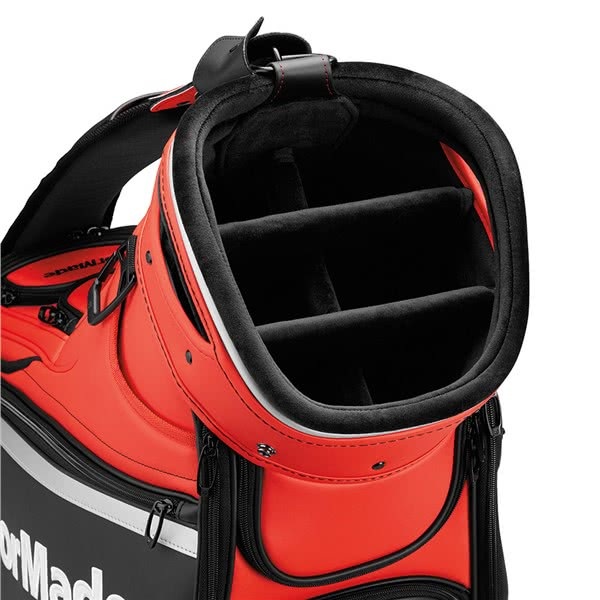 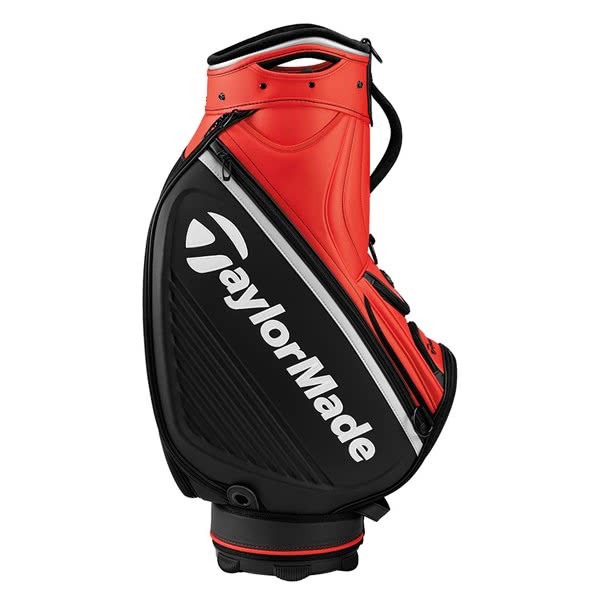 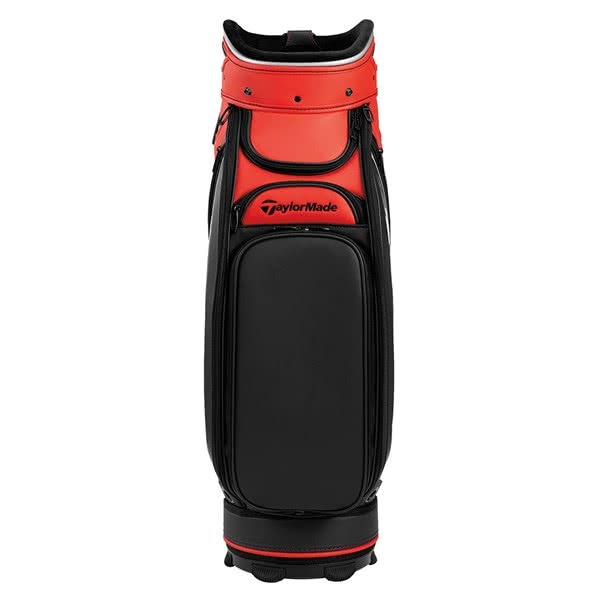 Other features on the TaylorMade Tour Cart Bag include a two point shoulder strap, an umbrella sleeve, a matching rain hood and a zip off belloy panel that can be embroidered.